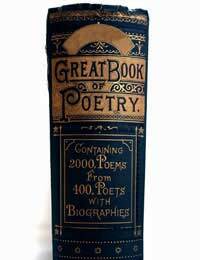 Over the centuries Britain has produced some of the finest poets that the world has known. We look at some of them and their work and invite you to learn more about some of the United Kingdom’s literary masters. Revered for his ability to paint more than his poetry Blake was a poet whose work came to symbolise mystery and symbolism. Born in London in 1757 Blake was the son of a hosier who grew up whilst being educated at home by his mother. Initially he worked as an engraver but then turned to painting and poetry. He often painted the images to go along with his poems and hand coloured them also. His poems include The Little Black Boy, The Tiger and Cradle Song. Often referred to as ‘Robbie Burns’ he is one of the most famous poets Britain had to offer and even has a night dedicated to him in his native Scotland. The son of a farmer, Burns was brought up a Calvinist and did not receive any formal schooling. He, along with his brothers, took over the family farm when their father died. He remains to this day one of the finest poets to come from the United Kingdom and wrote many songs as well as poems. They include Auld Lang Syne, Lament for Culloden and a Red, Red Rose to name but a few. Born the son of a parson, Charles Lutwidge Dodgson had a mind for mathematics and for imaginary prose. He was ordained as a deacon in (1861) but spent most of his time writing children’s fiction such as Alice in Wonderland (1865), Alice through the Looking Glass (1871) and What Alice Found There (1871). These were written as a way to entertain Alice, one of the daughters of the then dean of Christ Church. He was also an accomplished mathematician and lectured at Christ Church College, Oxford. His most famous poem was The Hunting of the Snark (1876). Tennyson is perhaps in the top five of all British poets and was made Poet Laureate for his works. Born in 1809 he was educated by his father and was one of eight siblings. He attended Trinity College, Cambridge where he was awarded the chancellor’s medal for English verse in 1829. His attendance at Trinity College was cut short when his father suffered a breakdown and died in 1831. His most famous works include The Miller’s Daughter, The Lady of Shalott, Maud, and The Eagle. Milton has become synonymous with poems that have an air of despondency and fear of the Devil about them. Born in 1608 Milton was the son of a financier and attended Christ’s College in Cambridge. In the last few years of the 1630s Milton travelled through Europe where he encountered such historical luminaries as Galileo. He found himself employed as Latin secretary to Oliver Cromwell and as a staunch republican would have been executed upon the return to the throne of King Charles II. He was only saved this fate because of his poetry and the fame he achieved because of it. His most famous poems, epics in their own right, were Paradise Lost and Paradise Regained as well as the hymn entitled Hymn on the morning of Christ’s Nativity. Again this is a cross section of the many and varied poets Britain has been proud to nurture and all of their works have stood the test of time. For those living outside of the United Kingdom these poets serve to give an understanding of the wealth of talent the country has had and continues to have on offer.